Rara Lake is the largest lake of Nepal, situated in Mugu district in the far western region of Nepal, The length of the lake is 5 kilometers and it is 2 kilometers wide. The surface is around 8 square kilometer, the perimeter 9 kilometer, the altitude around 3060 meter and the depth is 167 meter. Rara Lake is a unique spot in Nepal. The lake is situated in the Rara lake National Park. It protects some of the most beautiful alpine and sub-alpine ecosystems of the Himalaya. The centerpiece is the pristine Lake Rara, also Known as Mahendra Tal, the biggest lake in Nepal. It is so huge that other end of the lake is hard to see. The National Park is one of the best places in Nepal to see wildlife: musk deer, leopards, ghoral, tahr, Himalayan black bear, and the rare red panda are all native. The park is also a birdwatcher’s delight, especially during November and April when many species of birds visit during their seasonal migration.The National Park is one of the best places in Nepal to see wildlife: musk deer, leopards, ghoral, tahr, Himalayan black bear, and the rare red panda are all native. The park is also a birdwatcher’s delight, especially during November and April when many species of birds visit during their seasonal migration. To get to Dolpa, generally you have to fly to Nepalgunj first. Nepalgunj is a steaming hot city in South Western Nepal, in the lowlands of Terai, close to the Indian border, which is just 8 km away. Culturally the areas more resemble India than upland Nepal. Take a cycle rickshaw for a ride in town. You pass the hustle and bustle of the bazaar and see horse carts full of colorful people going to or coming from the Indian border. The Bageshowri temple is one of Nepal’s most important Hindu temples and is worth a visit as well. Overnight at Hotel. An early morning plane will take us to the town of Jumla, which lies on the banks of the Tila Khola river at 2370 meter. Jumla is one of the highest rice-growing areas of the world, where the unique ‘red’-rice is grown.Overnight stay at the camp. Day 05: Trek from Jumla to Danphe Langa 3130 m-5 hours. The Jumla Valley disappears behind the ridge as the trail follows the river, keeping fairly level and passing through fields and pine forests. Now trek begins an ascent up the Padmara Valley and becoming steeper as the climb continues. We have our lunch in proper place. Along the Padmara valley, the canyon becomes very narrow with vertical cliffs on both sides as the trail ascends through a deep forest of pines, spruces and firs. Finally we arrive in the last village of Padmara and we continue the trek until reaching Danphe Langa. Overnight stay at the camp. Day 06: Trek from Danphe Langa to Chautha 2770 m-5- hours. The trail descent becomes steep, through forests of firs, birches, walnuts and bamboo and some a short level stretch the trail zigzags down to the Sinja Khola, crossing it on a log bridge and follow the river downstream to Nyawre. Then we continue the serious climb, passing through marijuana fields and over a ridge into a side valley. Now the steep climbs continues for a while and the trail makes a turn into a big valley then descends until reaching Chautha. Overnight stay at the camp. Day 07: Trek from Chautha to Dhotu 2380 m-4- hours. The climb continues to the Bhulbule where entry our permit and above Bhulbule the trail emerges into an immense treeless meadow and climbs gently but steadily to an assortment of Chhortens, cairns and prayer flags atop the Ghurchi Lagna. From here, there are views of the Mugu Karnali River and snowy peaks bordering Tibet. The route descends gently on a broad path to a hut, and then drops precipitously down a rough trail through spruces forests. Follow the direct trail to Rara Lake, which stays more or less level through pine forests, and then descend to the Jhyari Khola and another stretch of easy walking leads to Dhotu. Stay overnight at tented camp. Day 08: Trek from Dhotu to Rara Lake 3040 m-3-hours. We will continue climbing through cedar forests to a huge meadow a top ridge with a great view of Rara Lake. Descends on the northern side of the lake where camping ground is available. Stay overnight at tented camp. Day 09: Exploring Rara Lake. Today we are exploring the largest lake of Nepal. It is almost 13 km around the lake and a day devoted to making this circuit is well spent. There is a few parks wardens’ house, and the remnants of the nowdeserted villages of Rara and Chapra on the northern side of the lake, but otherwise it is an isolated region where birds, flowers and wildlife thrive. Overnight stay at the camp. Day 10: Rest and explore Rara Lake as well as surrounding hills. Day 11: Trek from Rara Lake to Ghorasingha 3190 m-4-hours. we make more rewarding a circuit via a different trail. From the bridge at the western end of Rara Lake the trail follows the Nisa Khola and the trail ascends to Murma. Then the trail descends gradually to the river, cross the river on a log bridge, and then cross another stream beside a decrepit mill. A small trail leads straight up the hill, climbing through pine, then spruce and rhododendron forests. 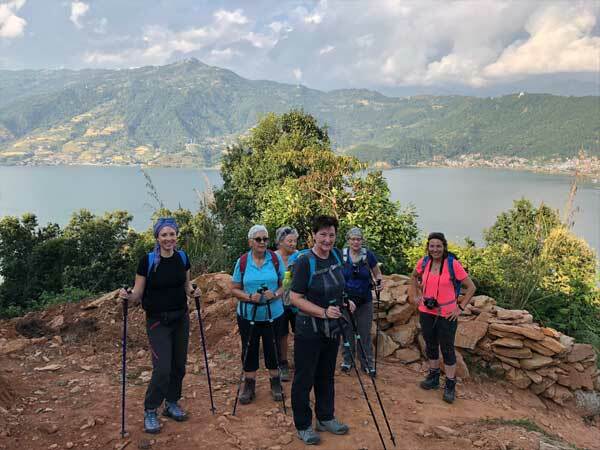 Now the trail becomes less steep ascent, then cross meadows to ridge from where views of western Himalaya in clear weather and Rara Lake far below as the trail skirts the head of a huge valley to the crest of the Ghurchi Mara. Then the route follow the main trail as it drops into the Ghatta Valley, then heads towards Ghorosingha. Overnight stay at the camp. 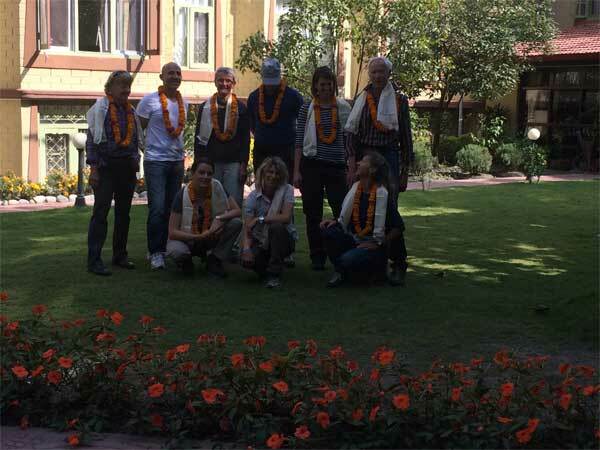 Day 12:Trek from Ghorasingha to Sinja 2440m-5- hours. This route heads down the Ghatta Valley from Ghorosingha, then follows the Sinja Khola downstream to Sinja. It is then a short walk down the fertile valley, on a renovated trail through a heavily populated region to the Brahmin and Chherti village of Sinja, on the banks of the Sinja Khola. From the 12th to the 14th centuries, Sinja was the capital of the Malla dynasty that ruled western Nepal. The ruins of the palace can be seen across the river. The large temple at the top of a promontory is the Bhagwati Than, dedicated to Bhagwati, the goddess of justice who rises atop a tiger. Overnight stay at the camp. Day 13: Trek from Sinja to Jaljala 3270 m-5- hours. After breakfast we crosses the Sinja Khola on a wooden cantilever bridge, and then begins a long trip up the Dhobi Khola. Then the trail crosses back and forth across the river on a series of log bridges and passing a few scattered houses and barley and corn fields. From Chala Chaur, a meadow with a few herders’ huts and the trail climbs steeply to Jaljala, a gigantic meadow full of grazing horses. Overnight stay at the camp. Day 14: Trek from Jaljala to Jumla 2370 m-4 hours. Today we have to keep climbing through forests to another meadow, just below the ridge, then descends to a few houses of Chauri Khola. Cross a stream and contour around the head of valley, staying high eventually crossing another ridge to rejoin the upward high trail at Chere. The final descends to Jumla. Overnight stay at the camp or in Lodge. Early morning flight to Nepalganj and This is a wonderful flight over the Himalayan foothills, with fine views of the main peaks including Annapurna and Dhaulagiri to the north. You then connect with the flight back to Kathmandu. Overnight at Hotel.